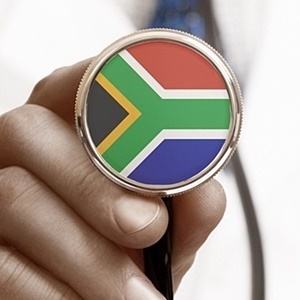 Private health care in South Africa is characterised by ‘disempowered and uninformed’ consumers and schemes that are difficult to understand, according to a major new report by the Competition Commission. The commission published the provisional findings and recommendations report of its Health Market Inquiry on Thursday. The inquiry started in January 2014, after the commission observed an increases in prices and expenditure in the private healthcare sector. The publication of the report has been characterised by delays. Public hearings took place in 2016, and the commission received written reports and feedback from 175 stakeholders from hospital groups, doctors groups, medical aid schemes and other stakeholders. It previously said that it has postponed the publication of the provisional report in the “interests of procedural fairness and to ensure that its whole process has been adequately checked and validated. The report's authors stated that private healthcare in SA displayed consistently rising medical scheme premiums and increasing out of pocket payments while medical schemes were at the same time decreasing the range and depth of services offered. Medical aid schemes were “difficult to understand fully”, and left consumers “confused and disempowered, compounding their inability to use choice as a pressure on schemes”. “Our competitive analysis indicates that this absence of competitive pressure is primarily due to disempowered and uninformed consumers. There is no method for consumers to assess the value of the services that schemes procure on their behalf,” stated the report. A lack of understanding by consumers was one of the major reasons that costs were not being kept down, stated the commission. It also found the private healthcare market was dominated by three large hospital groups - Life, Mediclinic and Netcare – which meant there was not enough competition by medical aid scheme providers. The commission suggested that, if there were six large hospital groups instead of three, competition in the market place would be fiercer, which may dampen prices. Justice Sandile Ngcobo, the retired Chief Justice of South Africa and chairperson of the inquiry, said in a statement on Thursday that while the commission had gained some insight into the public healthcare sector, the the report’s focus was on the private healthcare system. “An inquiry into the cause of the poor quality of healthcare services in the public sector is a question for another day,” he said. Among the report's major provisional recommendations were that medical aid schemes be simplified so that consumers can more easily make comparisons, and that a regulatory authority should be established “for effective and efficient regulatory oversight of the supply-side of the healthcare market”. With regard to the question of changing the concentration of large hospital groups, Ngcobo said the commission had considered disinvestment (he did not provide further details), as well as “imposing a moratorium on issuing licences to the three large hospital groups, namely, Netcare, Life and MediClinic”. Ngobo said stakeholders have until September 7, 2018 to provide comments on the provisional findings and proposed recommendations. After considering the submissions, the HMI panel will revise the report if they feel necessary. They hope to publish the final report and recommendations by November 30, 2018.